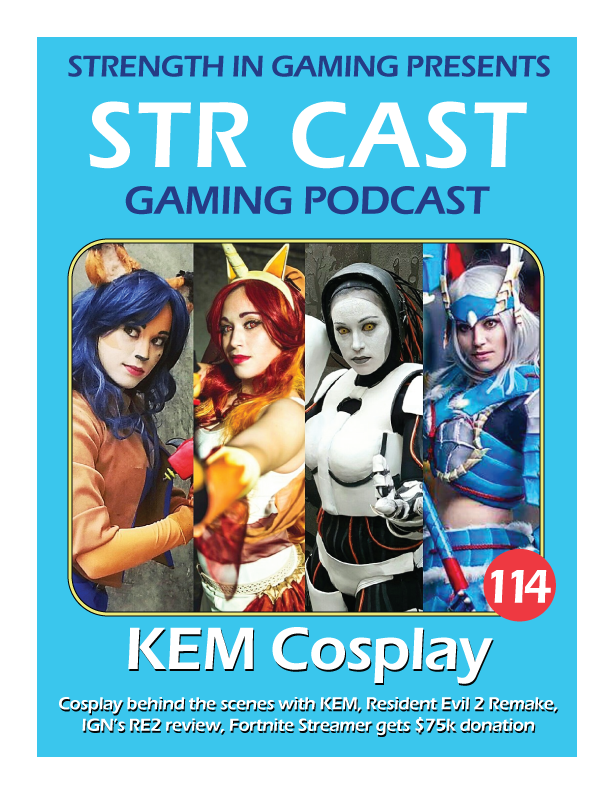 On this extremely knowledgeable episode we get a behind the scenes tour of the Cosplay world with KEM Cosplay! KEM is an accomplished cosplayer with the energy and wit to match, if you want to learn about cosplay this is the episode for you! We also discuss the Resident Evil 2 remake, IGN’s RE2 review, a 75k donation to a Fortnite streamer, and much more! We had so much to discuss we had to put a bunch of it into a bonus, look for it next week! – Give time to plug her channels / social media etc.